If you read my Archadeck of Central GA blog, you are probably well aware of my relationship with Helms College. Helms College is an institution of higher education that provides a unique approach to experiential learning and career education. Through intensive career advisement and academic support, Helms empowers students to obtain stackable credentials and launch careers in high demand occupations. As an active member of their Strategic Advisory Committee and now in my 2nd year as Chairman of the Board, we are working towards our 20/20 strategic plan for the future. Since opening the doors of The Polly Long Denton School of Hospitality in 2006, Helms College has grown to encompass not only The Polly Long School of Hospitality in Macon but also The Augusta School of Hospitality and the new School of Health Services, also located in Augusta. Part of the focus of the Strategic Advisory Committee is to plan and budget for the next four years of growth at Helms. 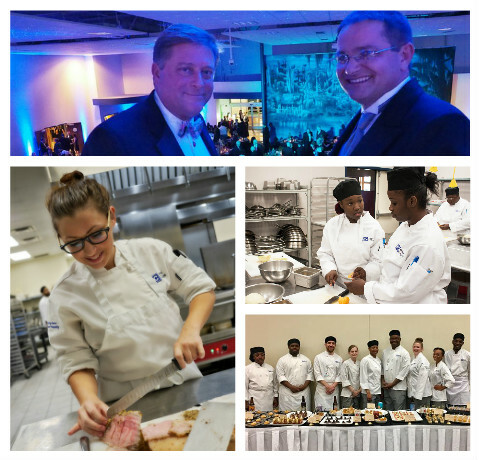 This growth will benefit the entire community and includes pursuing expansions within the catering genre of Helms College and expansion from a geographical perspective with the hopes of adding schools in additional schools in additional locations in Georgia, South Carolina and beyond. One milestone that is worth mentioning is our most recent graduating class was part of the largest enrollment at Helms College to date and was the first to have students from the School of Health Services walk the line! None of the planned growth at Helms is possible without our fundraising efforts. Our team works diligently to plan fundraising events that inspire the community and allow students and staff the opportunity to enrich the skills they are learning. Last year’s Goodwill Gala was held in November 2016 and had one of the biggest turnouts of any Gala to date. 12th Annual Goodwill Gala to be Held Friday, November 18th, 2016. I am both humbled and proud to be part of such a wonderful organization. I am looking forward to my continued involvement at Helms and Goodwill as we prosper and nurture the foundation of learning that began in 2006 into the seeds of hope that are giving a hand up to countless lives throughout Middle GA and the CSRA.